With this product you can accumulate up to 143 Glitter Points. Offers a rested and radiant. 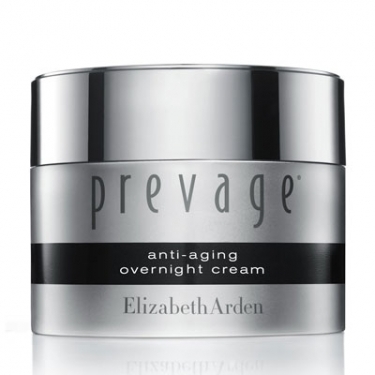 DESCRIPTION: Prevage Anti-Aging Overnight Cream from Elizabeth Arden is a moisturizer for skin recovery overnight. This intense cream uses Idebenone, the most powerful antioxidant, to optimize the natural look repair process of the skin and minimize the appearance of lines, wrinkles and sun damage. With this product, wake up with a perfect, radiant skin! Massage on cleansed face and neck every night. For better results, apply after Prevage Anti-Aging Int Repair Daily Serum.